London is one hella expensive city, for those of us living here as well as for tourists. But lucky for us, there’s also a bunch of spots that are free to visit, including museums, galleries, parks and some amazing vantage points. While taking a ride with the London Eye or going up the Shard are both great experiences, you don’t have to break the bank to see the city in all its glory. Here are my favourite places that offer incedible views of London, all 100% free. I’ve always had a soft spot for Greenwich. I love its villagey feel, extensive green park and the fact that it offers one of the best views of the city. You can reach it by taking the tube to Cutty Sark and then walking up to the Royal Observatory. 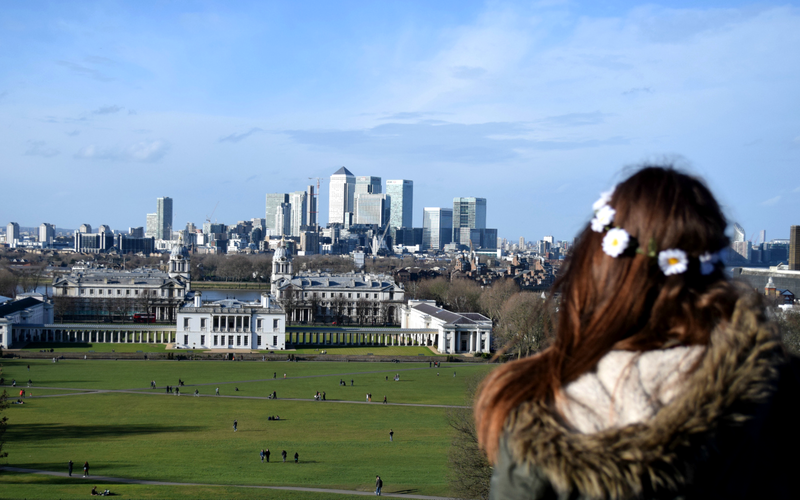 It’s located on a rather steep hill, in the middle of Greenwich Park, but don’t worry, it’s super short and you’ll be up there in no time. A visit to the observatory is unfortunately no longer free of charge, so if you want to get up close and personal with the Prime Meridian, you’ll have to splash out £9.50, but the viewpoint is still completely free to enjoy. Speaking of views, if you fancy seeing how London looks like from the river, ditch the tube and catch a Thames Clipper from Greenwich Pier on your way back to central London instead. It’s pricier, but lovely if the weather’s nice. Sky Garden is still a bit of a hidden gem most tourists don’t know about. I myself had no idea it existed up until about six months ago to be honest. The name is pretty spot on, because it literally is a garden up in the sky. 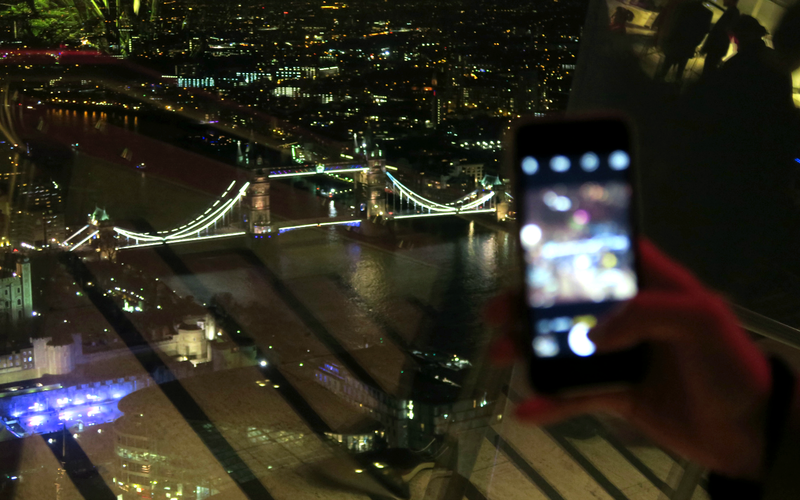 155 metres above the ground at 20 Fenchurch Street (near the Monument underground station), it spans three storeys and offers 360° views of London. I went up at night, around Christmas time, and it was truly magical. Not only are the views incredible, but the vibe of the place is super awesome too. You can either just sit there and enjoy the music and the views, grab a drink from one of the bars or have a meal at one of the restaurants. I still can’t believe the entry is free! You just need to book your visit in advance over here or pop in after 6 pm and try your luck like I did. It’s very likely you won’t be let in if the space is at capacity, though, so if don’t live here and have the ability to go whenever, I would strongly suggest you to book a slot just in case. Oh, and make sure you wear something decent (no sneakers, I’m afraid) and prepare yourself for airport style security. No sharp objects, etc. This is the spot I just visited for the very first time last week. 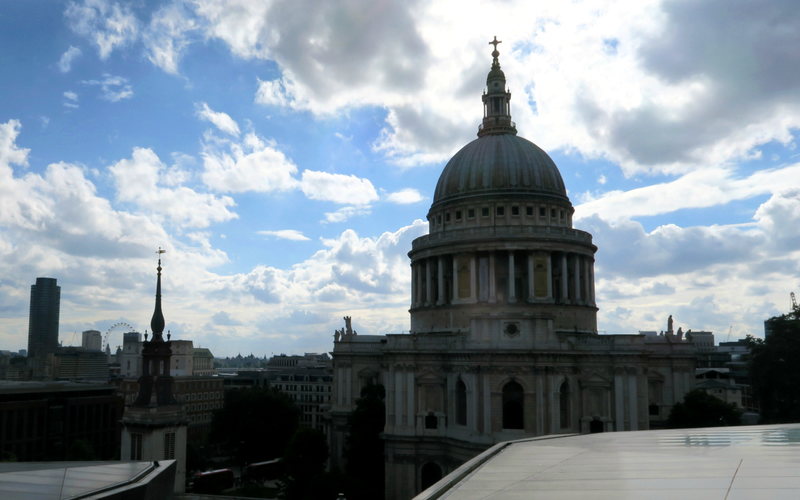 I’ve always wondered where the gorgeous high-up photos of St Paul’s were taken and was convinced it’s some sort of a fancy VIP restaurant, but it turns out I couldn’t be more wrong. It’s actually a rooftop of the One New Change shopping centre everyone has access to, seven days a week, from 6 am until midnight. Brilliant. They even have some benches laid out, so you can chill out for a while, as well as a restaurant and a bar on the other side of the terrace. Also, a little tip! If you see a long queue in front of the elevators before you go up, just skip it. I stood there like an idiot for ten minutes, only to find out all those people were waiting for the space in the restaurant to clear up. The viewing terrace itself is so large you never really have to wait, so just walk up to the elevators, tell them you’re there for the view only, and they’ll let you up straight away. 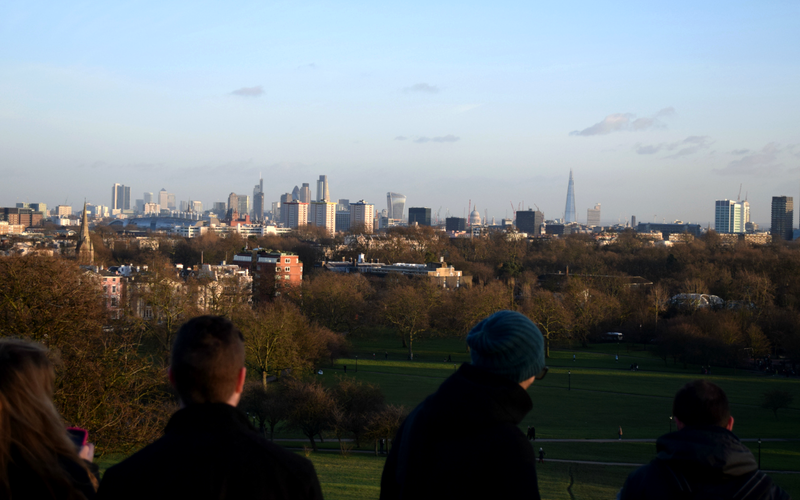 Primrose Hill is not usually the place first-time tourists visit, but I would highly encourage you to go. It’s such a lovely area, close to Regent’s Park on one side and Camden on the other, so you can combine it with a bunch of other activities if you wish. 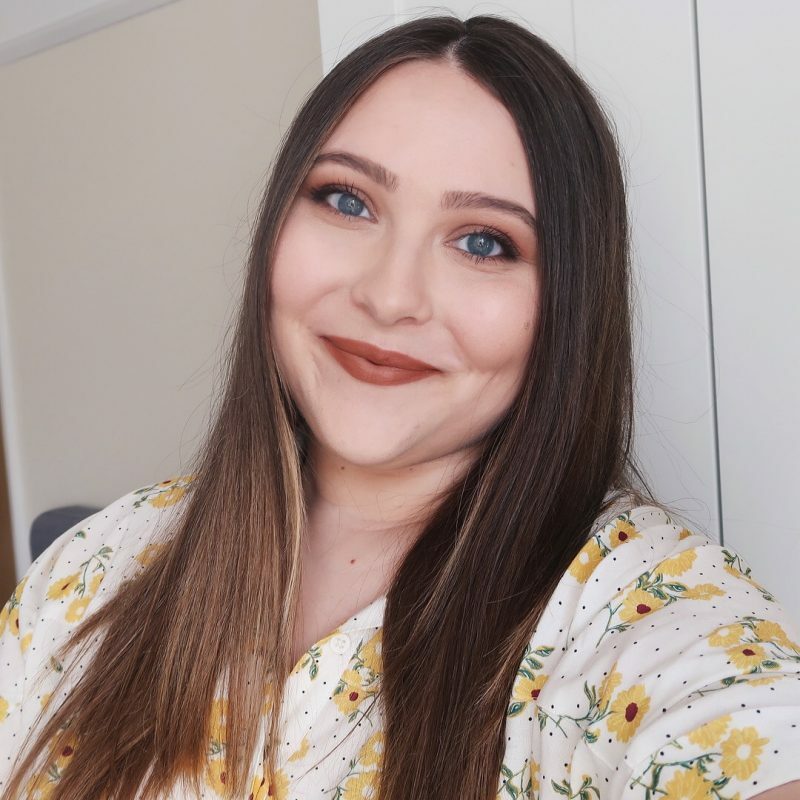 I personally love to grab some food from the Camden Market and then have a picnic on the hill while waiting for the sunset. By the way, if want to see the actual sunset, don’t waste your time looking towards the city skyline. There’s a running joke amongst the locals, because pretty much every single tourist makes that rookie mistake. Been there, done that, despite being good at geography, teehee. I can confirm the sun really does set on the other side of the hill. Another local secret is Parliament Hill at Hampstead Heath, a humongous park in North London I have yet to extensively explore, as I’ve only been to the Parliament Hill itself so far. 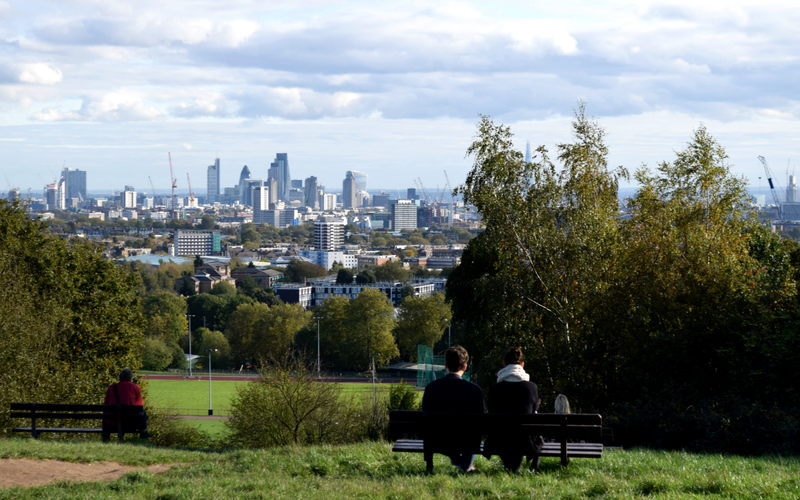 You can find it in the south-east part of the park, a short walk from Gospel Oak and Hampstead Hill stations. I can’t wait for the weather to be nice so that I can go back and explore the area a bit more. There’s supposed to be a zoo, a whole bunch of recreational areas and even ponds you can swim in!